As a football and basketball fan myself, I’ve had the opportunity to experience the culture surrounding sports first-hand. From die-hard fandoms, rivalry matchups, and the screaming that ensues every pivotal play, sports have always been harbingers of unity, able to overcome the societal boundaries placed by race and religion. However, if you’ve never experienced the sport when you were a kid, either as a fan or a participant, chances are this sports culture I speak so highly of doesn’t register as such. Instead, you’ve probably felt alienated, or even somewhat intimidated by the raw emotion and cult-like-passion sports fans consistently display. This unwelcoming feeling of being a stranger to the sports community is what ultimately inspired Doug Gursha to start his company “Rookie Road.” During the fall of 2012, Doug stepped onto the University of Michigan campus as a wide-eyed freshman, conscious of the Wolverine pride but unaware of how serious it really was. As he realized how integral the sports culture was, Gursha decided to teach himself the rules of football. In his attempt to integrate himself into the culture at Michigan, Gursha unconsciously paved the way for the inception of Rookie Road. While his initial objective was to learn more about the game, he soon realized that this opportunity was greater than just learning the rules of football. This was his chance to provide those who didn’t grow up with the sport, an educational platform that’s as informative, if not more, than a real-life coach. Since then, Rookie Road has grown tremendously, pushing the space between the sports and education industries to new frontiers. Tonia O’Connor, the former CRO of Univision and a current Rookie Road advisor, strongly believes this company is the next big thing. Rookie Road’s mission to educate and inspire those who are curious to ultimately enjoy and participate in sports is as pure as it gets. They shoulder the burden of researching and speaking with players, coaches, and officials while creating informative content that is easily comprehensible. It mimics the order in which someone would learn from the ground-up. However, let it be known that Rookie Road isn’t a tool limited to just educating beginners. The company has arranged its resources in a way where even those who do have prior experience with the sport can learn the more complex and nitty-gritty aspects of the game as well. 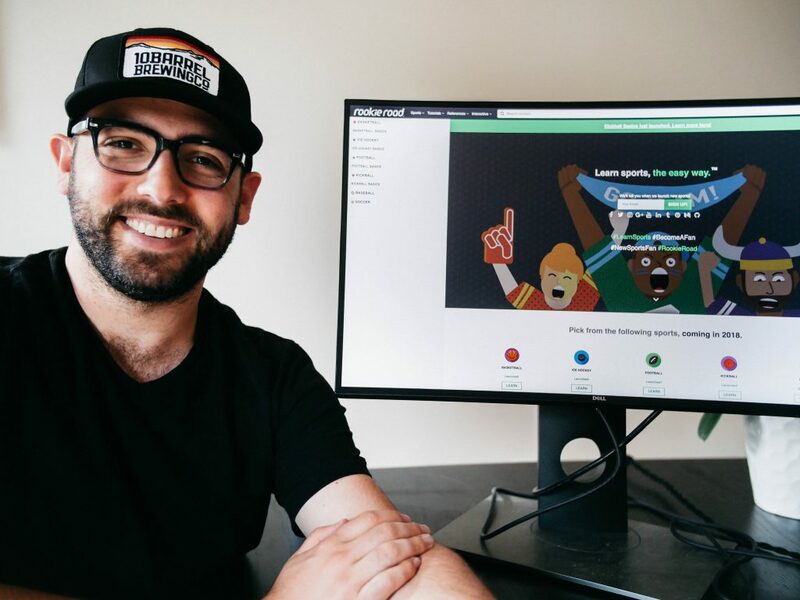 If you have some skepticism about the credibility of Rookie Road’s educational materials, former professional athletes and collegiate players have cosigned their approval on the company’s educational tools. Gursha and his team at Rookie Road have revolutionized the sports education industry for anyone who is curious about a sport. 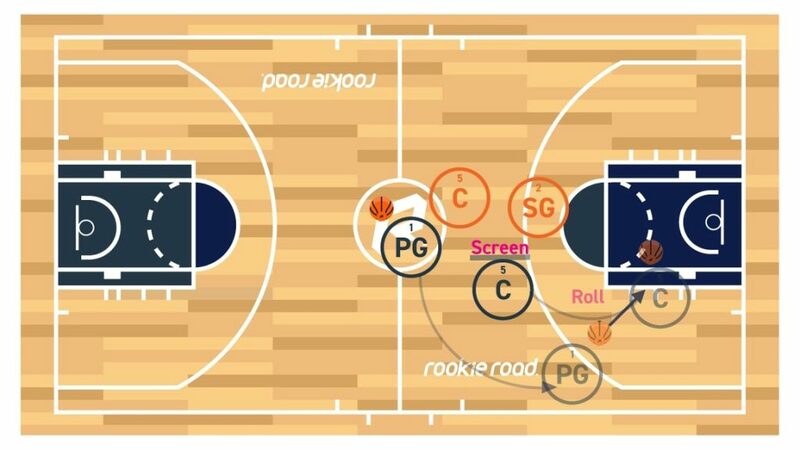 All of the content you see on Rookie Road is created in-house, from the rules of the game, the explanation of the technical details, and to the graphics to demonstrate certain plays. The information you see is specifically designed to be digested and understood as smoothly as possible. Think “personal coach” meets “professional referee.” That’s what Rookie Road is; a company that’s looking to break barriers in order to share the love and passion that comes with sports to everyone possible. 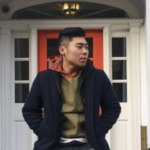 As a first-generation Korean American, I have directly experienced the difficulty in learning a sport without having had the opportunity to learn as a kid. When a person or an organization’s mission is to share the joy and excitement that we find in sports to others, I cannot help but whole-heartedly support the cause. So in light of this year’s March Madness tournament, use Rookie Road and surprise some of your friends when you show up to this year’s party a little more knowledgeable than the last; maybe you’ll even put your knowledge to the test and play pick-up at your local gym. Whatever you choose to do, your decision to engage with any sport on any given level can only be beneficial for you in the long-run. Do yourself a favor and act on your curiosity; learn what you can about the sport, and don’t be surprised when you hear about Rookie Road literally, changing the game.